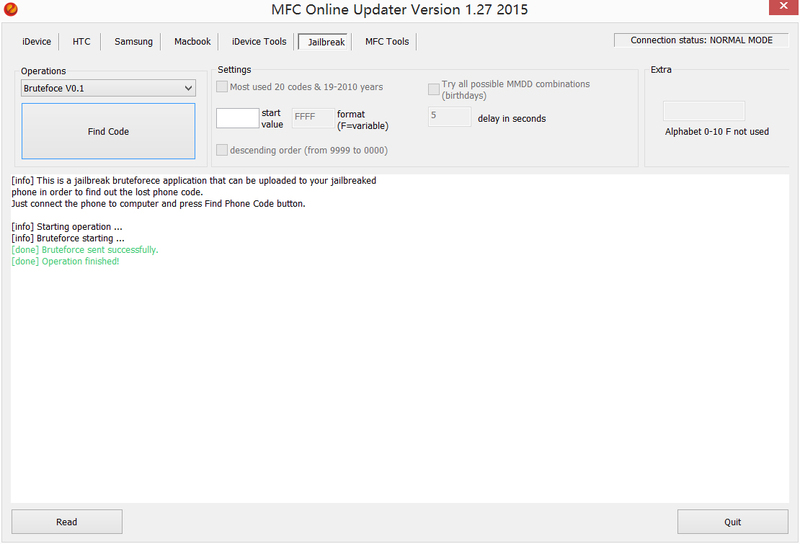 We're Very happy to announce the release of MFC Dongle Version 1.2.7 . While most of New functions adds and some bug fixes in the software. Changelogs for MFC Dongle V1.2.7 ? We're Very proud to announce the release of MFC 1.2.9 beta. 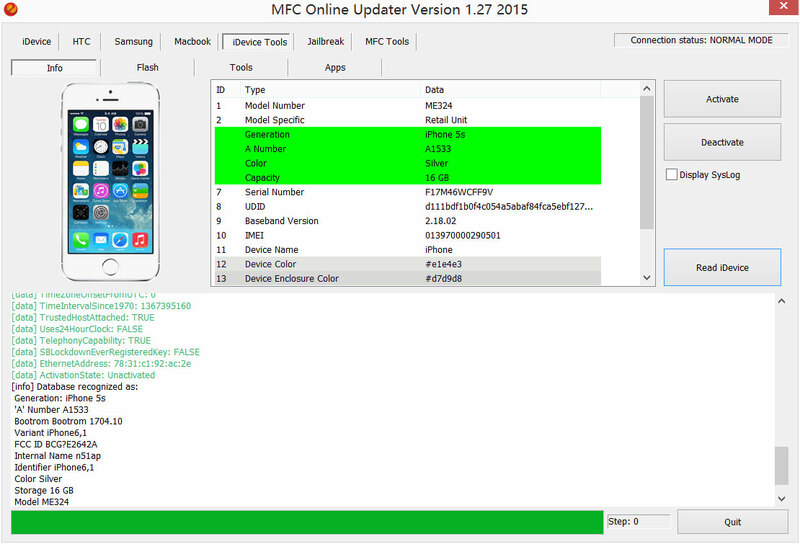 This update adds new functionality to your MFC Dongle. Changelogs for MFC Dongle V1.2.9 beta ? We're Very happy to announce the release of MFC Dongle Version 1.32 . While most of some bug fixes in the software. Changelogs for MFC Dongle V1.32 ? From now you have to using this latest version 1.32 (V1.31 expired on server ). The downloaded version of the software is available now, You can download from support page with valid membership. Changelogs for MFC Dongle V1.3.1 ? improving Change info function to change phone basic information, Eg. model / Color etc. We also provide Check IMEI (Clean/Stolen) API to all unlocking server. You can contact us by Email get more details. Ko'p bilimli emas bilimi foyda keltirgan inson DONOdir! MFC Dongle 2.2 full Version Released (Big Update) ! Текущее время: 12:26. Часовой пояс GMT +5.